With the Paralympics going strong in Rio, you'd thing that would be it for feats of fitness endurance in the name of sporting glory. Well, you'd be wrong because next month the world's first 'bionic' Olympics, the Cybathlon, will be taking place in Zurich, Switzerland. The event, which will take place on 8 October, aims to show anyone with a physical disability can be helped by new advancements in prosthetics and other novel forms of technology including brain-computer interfaces and powered exoskeletons. "Disability sport is very much in the public eye thanks to the success of the London Paralympics, but people don't see the struggles people with disabilities or physical weakness face every day," explained Kevin Evison, who will be using an advanced prosthetic arm on a team from Imperial College, London. 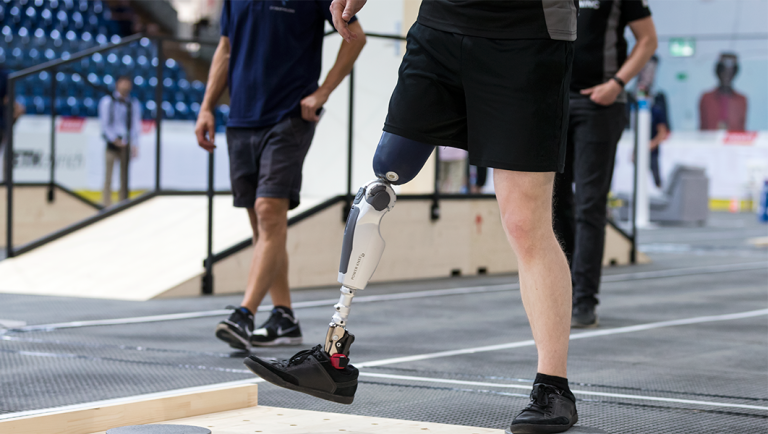 "Cybathlon brings together the best of prosthetic technology from around the world," he added in a recent interview with the BBC. "With innovative ideas enabling us to be more independent and productive, making it a competition against companies and research labs too." Unlike the Paralympics, which only allows its athletes to use unempowered technology in its events, all the tech planned for the Cybathlon will be fully powered. There will be a total of six events at this year's inaugural event, including a Functional Electrical Stimulation (FES) bicycle race, a Powered Leg Prosthesis Race, a Powered Wheelchair Race, a Powered Exoskeleton Race, a Powered Arm Prosthesis Race, and a special computerised race for competitors with paralysis using brain-computer interfaces to compete in a videogame simulation.